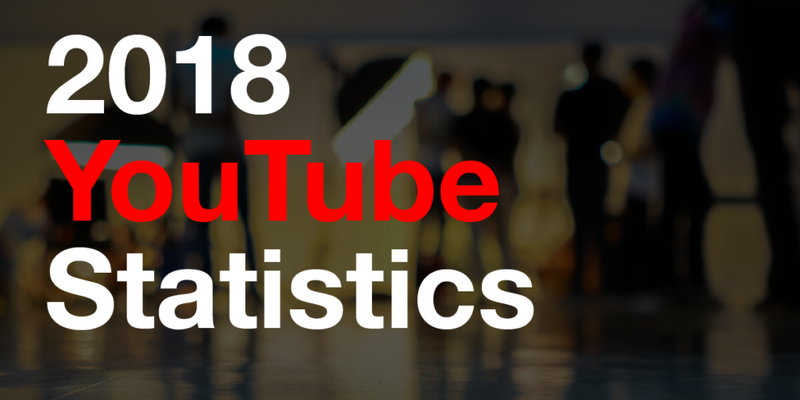 Here are some of the 2018 YouTube statistics fun facts and highlights. What are the top videos on YouTube? The most viewed video on YouTube is Luis Fonsi – Despacito with 4.8 billion views. Fastest video to 1 billion views on YouTube is Adele – Hello in 87 days. YouTube channel with the most subscribers is PewDiePie with 61 million subscribers. What are the current user statistics on YouTube? 51% of U.S. marketers advertise on YouTube. 55% of YouTuber users are male. 20% of the top 100 YouTube channels focus on gaming. Aspiring YouTubers have Dan Middleton and Evan Fong to thank for opening up endless opportunities and showing that creativity and humor go a long way. They’re both video game reviewers and are quite funny. They each have their own channels, but collectively earned $32 million dollars in 2017 from their YouTube channels. The top ten YouTubers racked in $127 million dollars. How do I get a million video views on YouTube? Where is this video going to live? The answers to these questions not only help us understand the video’s message and tone but also where we will be engaging with our audience. It also helps us understand what the real objective might be. As savvy digital marketers, achieving a number of video views is rarely the objective. Most B2B marketers have a goal of driving more traffic to their website. Yet many feel that placing the video on YouTube or even embedding the YouTube video player on your webpage will help accomplish this goal. Many are surprised that this is not the case. At best, it will drive traffic to the video on YouTube. And less than 1.5% of viewers will click from YouTube to a landing page (this will be 0% if a URL is not included in the first three lines of the YouTube description or in a clickable link in the video). This is not an effective way to increase traffic to a website. You can read more about Why your website needs a YouTube alternative in this blog article. This will help you to reach your goal to increase traffic to your website using video. For more YouTube optimization tips, download our complete guide to YouTube Channel Optimization. If you want to be the next big thing on YouTube and have heavy traffic to your YouTube channel, we would love to help you take it to the next level. If you want help creating a video to explain a complex idea or to connect an emotion to a service/product, we would love to help you share your story. We can also help you with the marketing strategy to reach your objectives. Most video production companies just make the video, hand over the video file and wish you best of luck. We love to strategize. We are fully vested in each project and it only makes sense to give you advice on how to deploy it for maximum success.